1970 Hardback Wisden with Original Dust Jacket. VG! 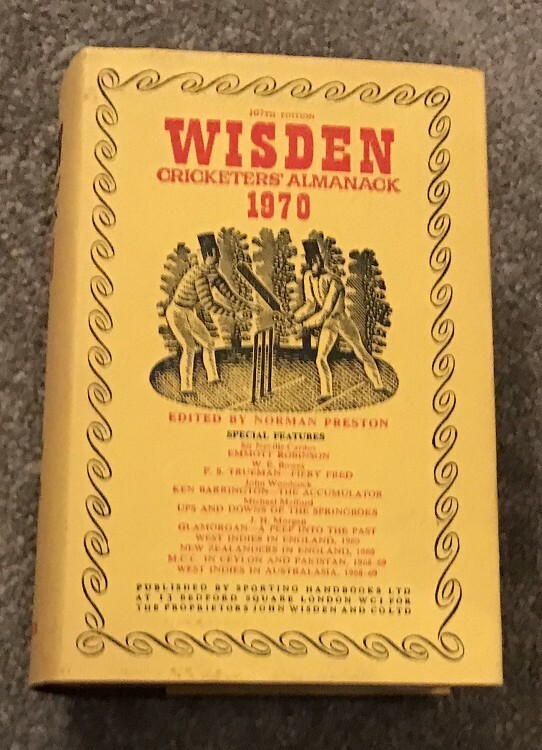 This lot is a 1970 Original Hardback Wisden with Original Dust Jacket, that is in Very Good condition, the DJ is pretty mark free and no spine fading, great DJ and internally wonderful, a superb 1970 , a hard to find year. Please see the pictures, more photos available on request.